Rt. Hon. 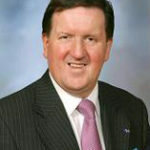 Lord Robertson of Port Ellen KT GCMG Hon FRSE is a British Labour Party politician and served as the 10th Secretary General of the North Atlantic Treaty Organisation from 1999 to 2004. He has also served as Defence Secretary for the United Kingdom from 1997 to 1999 in the Government of Tony Blair. He has received a total of 11 honorary doctorates from various universities. Currently he holds directorships of several notable companies in the UK, including the Weir Group, and Cable and Wireless. Lord Robertson is also a Senior Counselor at The Cohen Group, in Washington D.C. providing advice and assistance in marketing and regulatory affairs. He is currently a member of the Top Level Group of UK Parliamentarians for Multilateral Nuclear Disarmament and Non-Proliferation. 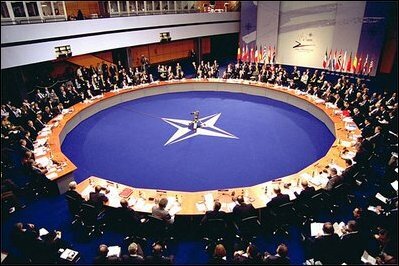 George Robertson calls for NATO leaders to reaffirm and for the time being leaving alone the sound policy conclusions reached in the Strategic Concept.